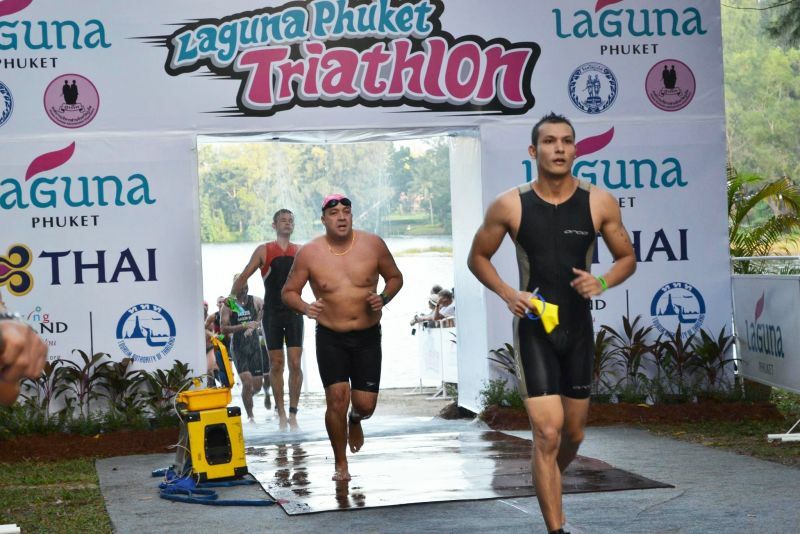 Andy looks to get fitter than when he was part of the relay team at the 2011 Laguna Phuket Triathlon. 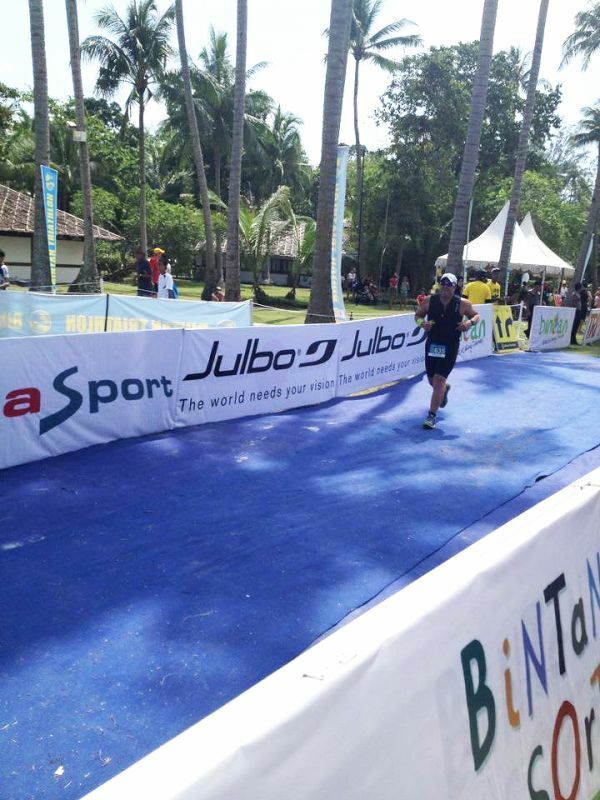 Andy at the Bintan Marathon in 2011. It’s the fifth week in salesman Andrew “Andy” Joyce’s journey to reclaim his waist and things are starting to heat up. After a 10.5km fun run at Bang Whad Dam in Kathu, Andy was pleasantly surprised at how much energy he had left. To step things up a bit, RPM Health Club Manager Hayden Rhodes has Andy adding a bit more of the “good” stuff to his meals – some more butter and coconut oil along with other healthy fats. But that’s just the tip of the iceberg lettuce. From the outset, Rhodes has helped Andy to visualise his workouts and take time out of the day to fully focus on his fitness potential. Gestures such as pushing the plate away after eating until satisfied (not full), telling your dinner mates that you have finished your meal, visualising workouts and runs between five to 15 minutes, and even posting photos of your fitness goals on social media are all part of the plan. “We call these anchors and it started in the first week. One them has me playing with my wedding ring and think about when I was younger and much fitter. When I see something I crave or a fast food place, I play with my ring and that way I can remember what my goal is,” Andy says. According to Rhodes, the journey to fitness is as much psychological as it is physical. The psychology of shedding fat plays a huge role in Rhodes’ coaching and, as he explains, visualisation can help Andy make necessary shifts in his thinking to boost hit fitness level and maintain. The head games seem to be working, as Andy has begun to explode into his hour-long workouts. “The main thing that sticks with me that [Rhodes] says: I don’t think about fitness. I think about being strong and healthy. When you get strong, then the fitness will come,” Andy says.